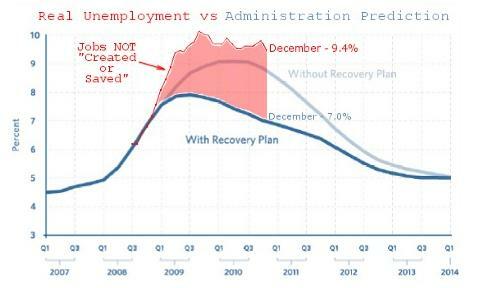 In December the Obama economy once again created less jobs than expected. We’re getting used to this. The unemployment rate dropped to its lowest level in a year. It’s still pathetic but maybe there is hope since Republicans took over the House. The economy created far fewer jobs that expected in December, suggesting the Federal Reserve will complete its asset buying program, but the unemployment rate dropped to its lowest in more than 1-1/2 years. Non-farm payrolls increased 103,000, the Labor Department said on Friday, below economists’ expectations for 175,000. Private hiring rose 113,000, while government employment fell 10,000. 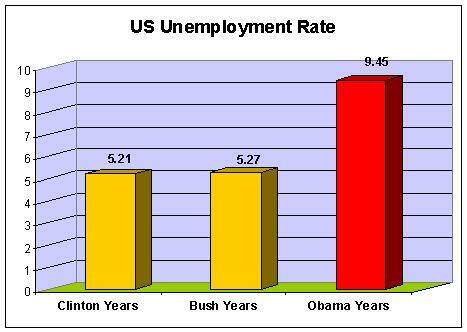 UPDATE: BB sent in the updated graph that shows where we the unemployment is today compared to where we were told it would be if the Trillion dollar Obama-Pelosi Stimulus was passed. UPDATE: The actual unemployment rate is closer to 11.7% .